This event has been postponed - check back for new schedule. Production Connection brings together all facets of the still production community in an informal setting allowing vendors, talent, production professionals and photographers to meet, exchange ideas and collaborate. 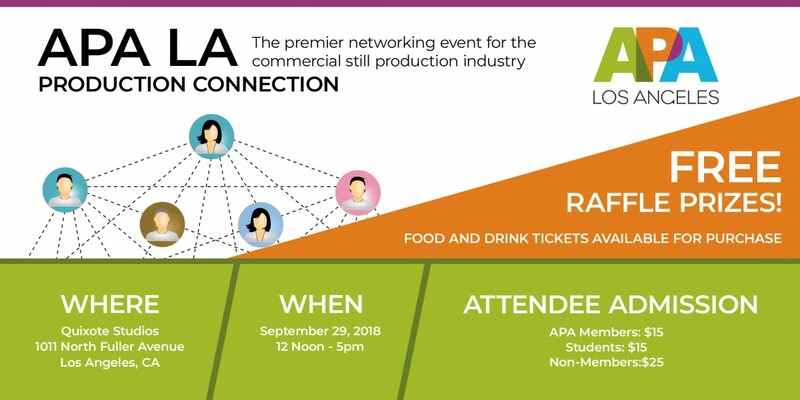 Commercial photographers and attendees: This unique event is a great way to learn about new technology, hardware and production services while connecting and collaborating with other industry professionals.